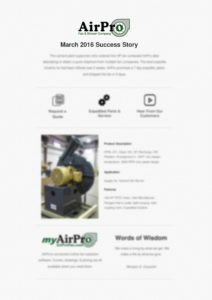 Story: The cement plant supervisor who ordered this high pressure blower contacted AirPro after attempting to obtain a quick shipment from multiple fan companies. The best expedite timeline he had been offered was 5 weeks. AirPro promised a 7 day expedite option and shipped the fan in 5 days.